A couple weeks late with this hyped product but hey, don't shoot me? I don't know about you but I LOVE lip crayons. It's one fad that I really do buy into. I find them so easy to apply, you get a lot of product for the price I just love the gimmick. 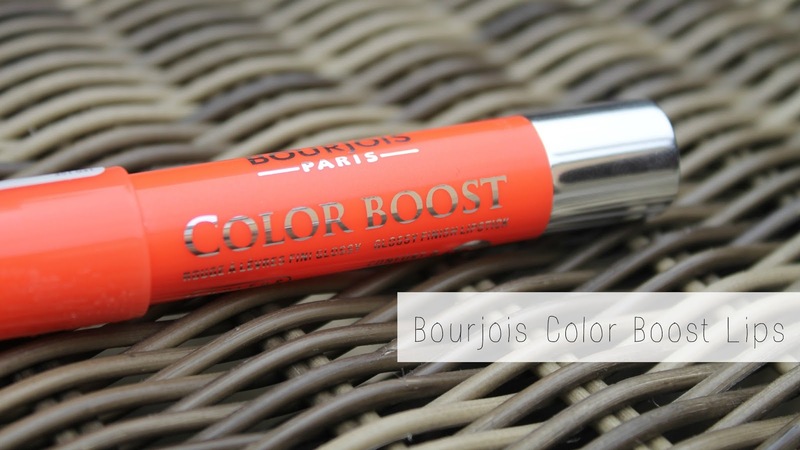 The latest lip crayon is from Bourjois, who have introduced their colour boost crayon in four shades - I purchased Orange Punch, a glossy orange based coral shade. I find that these crayons are a lot closer to the original Clinique Chubby Sticks than others I've tried like Revlon's Just Bitten Balm Stains. Mainly because they have the same glossy finish and same amount of colour pay off. These are really nice, glide on smoothly and evenly. I wouldn't say it's very buildable if you'd like a bit more colour, this shade isn't anyway, but it's nice for an everyday product. These are also meant to be waterproof, as well as filled with SPF, so they'd be the perfect product for holiday and summer in that respect. I know these have gotten a LOT of hype lately, and while I do like them I wouldn't say I love them. They are a nice product and I will definitely buy another couple of shades (I'm looking at you On The Beach) but I don't think it completely lives up to the hype. I was expecting so much more but I got something very similar to others I've tried. lovely color looks great on your lips I need it.